We appreciate your feedback about your support experience with WooCommerce, developers of Review for Discount. This helps us maintain high standards on the WooMarketplace, and helps WooCommerce improve. Review for discount allows you to offer discounts to shoppers that provide reviews for products in an effort to drive repeat purchases, up-sells, and new sales. Auto-create coupons for customers that review products in your WooCommerce store which are redeemable at checkout. 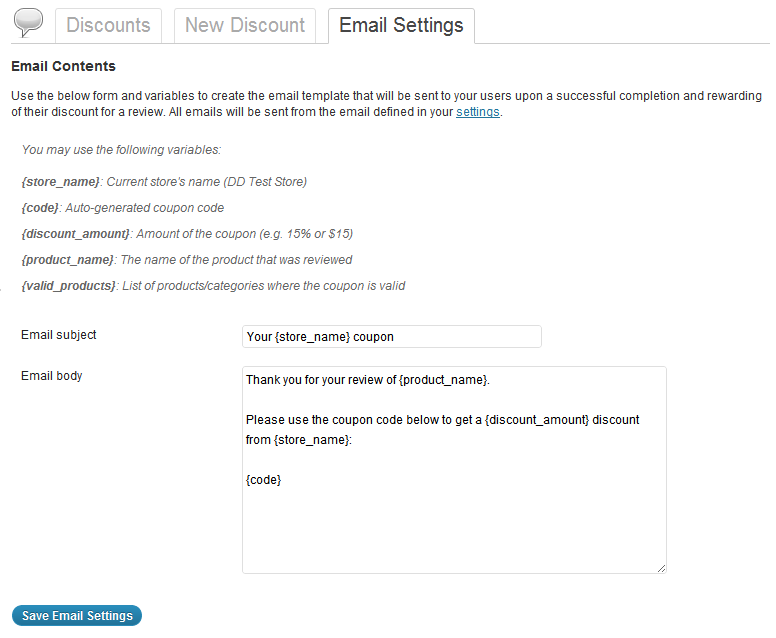 Also, generate and email these coupon codes automatically at the time of a review to your users.